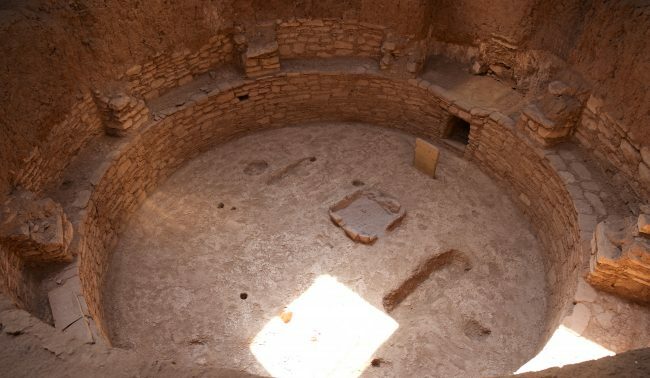 An underground kiva at Mesa Verde National Park. Photo by Jack Bohannan. The final site of the tour is Cliff Palace, the mansion of Mesa Verde. The massive 150-room apartment complex is thought to have housed 100 people. It’s truly impressive, but looking through the roadside telescope makes me want to be down in the action with the guided walk offered by the National Parks Service itself. 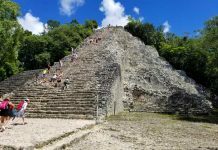 Unlike the ghostly barren Spruce Tree House, Cliff Palace is crawling with tourists wearing bright colored clothing that would have been foreign to the ancestral people. Back at the lodge, we succumb to the heat of the afternoon and only reemerge for a sunset walk. The xeric landscape is fragrant with sage; there are flowers that I can’t identify. I watch my steps for rattlesnakes, and instead see shiny black beetles. This is a diverse ecosystem that is often unappreciated by those accustomed to thick foliage. And the land makes for one hell of a sunset. There’s simply more sky here. Without the tree covering the sky is a wide expanse as grand as the sea. Dusk soon cools the desert. A black horse appears. It’s far enough away to be a solid black silhouette, but we can tell it’s scruffy. This makes it seem fuzzy, dreamlike, and ghostly. It walks strangely, in uneven steps over uneven terrain. It doesn’t disappear, but rather trots off steadily, anxiously, past a family walking the trail below. This is a lovely way to end the day, and leaves us wondering about the Native American symbolism of the horse. I don’t look it up on my phone – there’s no cell reception, and no televisions at the lodge for that matter. It’s refreshing to be disconnected. We wonder and imagine. It’s a fitting way to close the day at a place with more mysteries than answers. The view from the Far View Lodge, Mesa Verde National Park. Photo by Jack Bohannan. The best time to visit Mesa Verde is during the summer season when tours are offered more frequently and more ruins are available for tour. A $15 entrance fee applies per car. An annual pass to the United States National Parks can quickly pay for itself, costing just $80 for all parks. 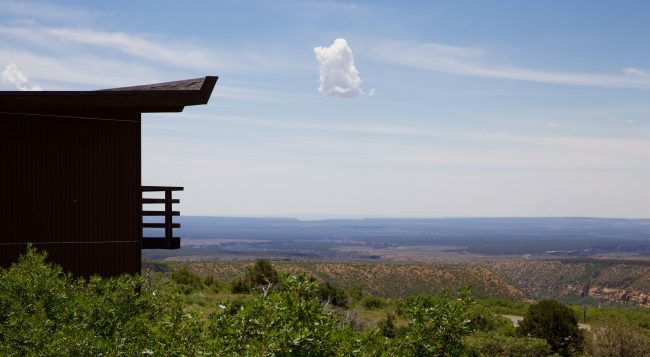 The Far View Lodge is a great place to stay, particularly if you plan to spend more than one day exploring. 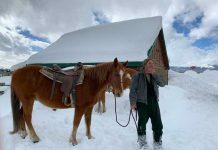 Author Bio: Jack Bohannan is a freelance writer soaking up the sun in Denver, Colorado.